I’m constantly on the search for better ideas for sermon structure and organization. So, with a few minutes of time this morning, I got out my copy of John Wesley’s sermons and started listing the pattern of his sermons. (This is easy to to with Wesley because he almost always presents his outline early in the sermon. In general, he begins with a brief introduction which may define some terms or present a question or debate. The introduction can be very short and seldom wastes any time getting to the issues Wesley wants to deal with. He often ends the sermon with an exhortation to the listener. In between, he makes several moves that he sketches out in advance. Here are the notes I took on his first seven sermons. One favorite device of his is to use the “is not, but is” structure. So in the first section of “Salvation By Faith” and “The Way to the Kingdom” we get a series of what faith or religion are not before we get to what they really are. Someone such as Fred Craddock would probably point out that this style and approach worked when the preacher brought some inherent authority to the preaching moment. Wesley did not ignore the audience, but he certainly did not spend his energy evoking and connecting with their needs. He did not worry about establishing rapport. He did not tell touching of funny stories about himself – although he would use himself as an illustration. More than once he uses his own lack of true faith before Aldersgate to support his assertions about the nature of true Christianity. It is an interesting approach to sermon construction. I do not know how culturally bound it is. Would it “work” today? 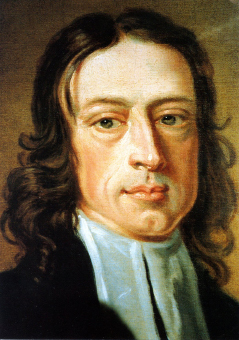 Posted on November 22, 2010 by John MeunierPosted in Methodism, Preaching, Sermon prepTagged john wesley, sermon. Previous Previous post: But is that a good idea?